The PE50BF-DIFH-C is a pyroelectric energy meter with a high damage threshold diffuser for concentrated beams. 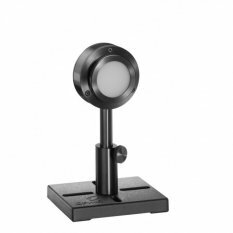 It has a 35mm aperture and can measure energies from 200µJ up to 10J. It has a damage threshold of 6J/cm² for ns pulses. It can operate at repetition rates up to 250Hz and covers the spectral range from 0.19 – 2.2, 2.94µm. The sensor comes with a standard 1.5 meter cable for connecting to a meter or PC interface.